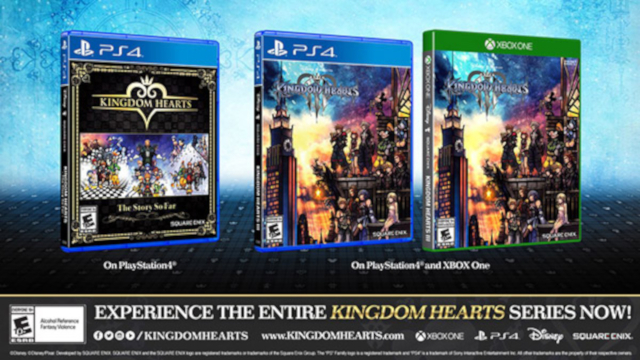 In response to popular demand, Square Enix is bringing back the Kingdom Hearts: The Story So Far compilationto retailers in North America after it sold out. It has already returned to participating U.S. retailers, but will also be arriving to retailers in Canada and Latin America starting on the 15th of March. You can also find it at the Square Enix Store. Kingdom Hearts is a series is made up of role-playing games created in a partnership between Square Enix and Disney. It started when the first Kingdom Hearts game landed on the PlayStation 2 back in 2002. Since then, the franchise has sold more than 25 million copies around the world. The series has grown over the years, and celebrated its 15th anniversary in March of 2017.